Yes, here they are together at last that unlikely trio, ceiling mold, modern art and Jesus. 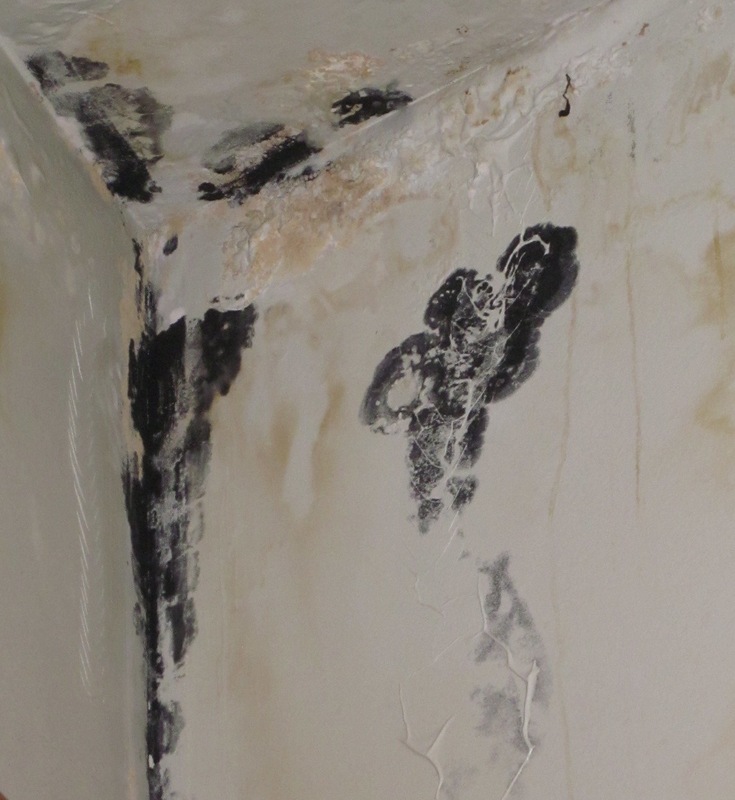 Last week’s heat and humidity had an adverse effect on the bathroom ceiling in my place of employ as pictured below. This week’s cooler temperature has put a halt to the leak and temporarily dried the mold that is creeping across the ceiling with the confidence of a nearsighted bucktoothed nerd plowing through a trigonometry final. 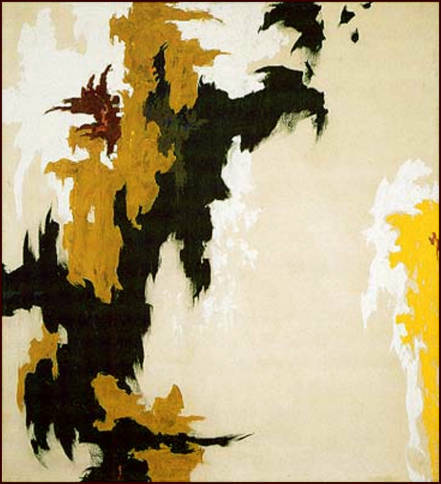 The current state of the bathroom’s ceiling mold also brings to mind 1947-J, an oil on canvas painting by abstract expressionist painter Clyfford Still. This entry was posted in Humor and tagged 1947-J, clyfford still, jesus, mold, pancakes. Bookmark the permalink.